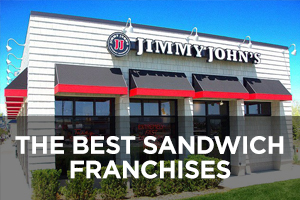 The sandwich and sub shop franchise market is worth $23 billion, and entrepreneurs interested in buying into a successful concept have a solid list here of the 25 best sandwich franchises to aid their research. Sandwiches have found a very solid footing in recent decades. People have been using bread as a vehicle to carry various ingredients for hundreds if not thousands of years, but the modern concept of the sandwich is traced back to John Montagu, England’s 4th Earl of Sandwich in the 1700s, who was known for eating chunks of salted beef between two pieces of toasted bread. From such humble beginnings, it’s surprising that the sandwich industry today has become such a big business. The sandwich and sub market is home to the largest restaurant chain in the world, Subway, with its 42,000+ locations (McDonald’s has only 37,000+). The sandwich and sub franchises collectively represent 12% of all quick-service restaurants, behind burger joints (30%) and pizzerias (15%) but ahead of chicken (8%) and Mexican (7%) establishments. 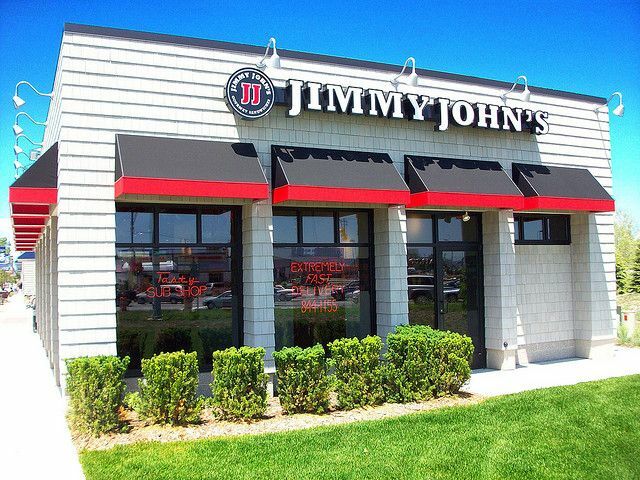 The hottest chains to watch on this list include Jimmy John’s and Firehouse Subs, but there are many others worth taking a closer look at as well. From subs and hoagies to wraps and pitas and beyond, here are the top 25 sandwich franchises of 2019. Jimmy John’s has been around since the early 1980s and does things a bit differently — no oven-baked hot sandwiches and only one cheese (provolone). But JJ’s delivers, which is rare among sandwich chains, and does so freakishly fast. Their French-style sub rolls are baked fresh daily, and their meats and veggies are freshly sliced each day in the store. The chain’s quirky, irreverent ad messaging is a big hit with the college-age crowd. 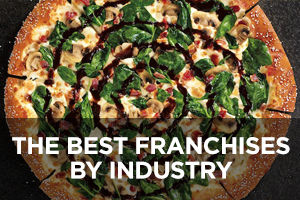 This company is currently ranked #11 on Entrepreneur magazine’s Franchise 500 list. Founded in 1983 and franchising since 1993, the number of locations has climbed over the last 10 years from 721 in 2008 to the current total of 2,793, of which 56 are company-owned and all are located in the U.S.
Firehouse Subs was founded in the mid-1990s by former firefighting brothers Robin and Chris Sorensen in Jacksonville, Florida. The chain’s restaurants feature a firefighting theme on the menu with hot and cold sub names such as Hook & Ladder and Engineer, as well as in-store décor featuring firefighting equipment, memorabilia, and artwork. A portion of every purchase goes to the Firehouse Subs Public Safety Foundation to support first responders in the communities where the chain has a presence. The foundation has granted over $29.5 million to provide equipment, training, and support to hometown heroes. This company is currently ranked #39 on Entrepreneur magazine’s Franchise 500 list. Founded in 1994 and franchising since 1995, the number of locations has increased rapidly over the past decade from 340 in 2008 to the current total of 1,135, of which 37 are company-owned and 16 are located outside the U.S.
Charleys Philly Steaks was the brainchild of Charley Shin. When he was an Ohio State University student back in the mid-1980s, he took a wrong turn on the way to New York City and wound up in Philadelphia, where he tasted his first Philly cheesesteak sandwich. It was love at first bite. He created his own recipe and opened Charley’s Grilled Subs on the OSU campus when he was only 22. The menu now includes four signature Philly-style steak subs, four chicken subs, four deli subs, three kinds of gourmet fries, and three salads. This company is currently ranked #160 on Entrepreneur magazine’s Franchise 500 list. Founded in 1986 and franchising since 1991, the number of locations has grown steadily over the past decade from 361 in 2008 to the current total of 595, of which 56 are company-owned and 78 are located outside the U.S.
McAlister’s Deli had humble beginnings in Oxford, Mississippi, back in the late 1980s with its first location in a renovated gas station. McAlister’s is known for being extremely kid-friendly, which means it’s great for families. It takes a southern-hospitality approach to its atmosphere, has seasonal menu items, and makes a big deal of its sweet-tea with annual Free Tea Day each summer. Its humble beginnings are often reflected in store décor, including roll-up garage doors and retro black-and-white tile. The chain has also won a ton of awards in recent years. 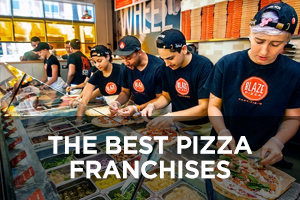 This company is currently ranked #114 on Entrepreneur magazine’s Franchise 500 list. Founded in 1989 and franchising since 1994, the number of locations has risen in recent years from 307 in 2011 to the current total of 428, of which 28 are company-owned and all are located in the U.S. Subway is the global juggernaut of sandwich chains with enough locations to make it the biggest restaurant chain in the world, and it’s still a privately-held company. It got its start back in the mid-1960s initially as a way for Fred DeLuca to fund medical school, but the success of the chain kept him too busy (and made him a billionaire as well). It has focused on making its menu healthier than most sandwich chains. It only recently stopped one of the most successful promotions in sandwich history – the $5 footlong deal. This company is currently ranked #105 on Entrepreneur magazine’s Franchise 500 list. Founded in 1965 and franchising since 1974, the number of locations declined over the past year by 222 stores to the current total of 42,431, none of which are company-owned and 17,246 of which are located outside the U.S.
Arby’s gets its name from its founders, the Raffel Brothers (RB morphed into Arby’s), who opened the first location in Boardman, Ohio, back in the 1960s. When Leroy and Forrest got started, their goal was to produce fresh-sliced roast beef sandwiches as fast as any burger joint. Their concept worked and now the menu features a wide variety of beef sandwiches along with a few items featuring turkey, ham, or chicken. Recent menu innovations include a popular seasonal venison (deer meat) sandwich, as well as an elk sandwich in a few locations. 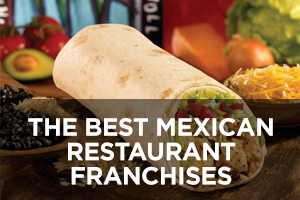 This company is currently ranked #112 on Entrepreneur magazine’s Franchise 500 list. Founded in 1964 and franchising since 1965, the number of locations has declined slightly over the past decade from 3,727 in 2008 to the current total of 3,429, of which 1,117 are company-owned and 137 are located outside the U.S.
Jersey Mike’s Subs started out in the 1950s as just Mike’s sandwich shop in Point Pleasant, New Jersey. In the early 1970s, 14-year-old Peter Cancro started working at the shop, and when it went up for sale a few years later, he and a friend managed to put together $125,000 to buy it. Any sub can be ordered Mike’s Way: onions, lettuce, tomatoes, spices (salt and oregano), and the Juice (a mixture of red wine vinegar and olive oil). The menu includes 28 hot and cold subs along with five signature wraps. 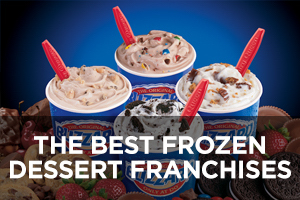 This company is currently ranked #24 on Entrepreneur magazine’s Franchise 500 list. 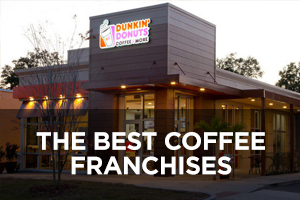 Founded in 1956 and franchising since 1987, the number of locations has grown steadily over the past 10 years from 367 in 2008 to the current total of 1,431, of which 84 are company-owned and all are located in the U.S. Which Wich Superior Sandwiches is a newcomer compared to the many sandwich chains that have been around for decades. Which Wich was started by Jeff Sinelli in Dallas, Texas and is famous for the way customers place orders. They use red Sharpies to mark pre-printed menus on sandwich bags, selecting from among 10 categories of sandwiches, then choosing the bread, cheese, spreads, and toppings. Patrons are encouraged to use the red markers to decorate their bags and hang them in a gallery area in the shop. This company is currently ranked #204 on Entrepreneur magazine’s Franchise 500 list. Founded in 2003 and franchising since 2004, the number of locations has expanded over the past 10 years from 54 in 2008 to the current total of 467, of which only two are company-owned and 38 are located outside the U.S.
Erbert & Gerbert’s Sandwich Shop got its start back in the late 1980s when Kevin and Beth Schippers opened the first location in Eu Claire, Wisconsin. The 16 subs on the menu have odd names such as Narmer, Bornk, Girf, Comet Morehouse, Quatro, and so on. These are all characters from the stories Kevin’s father used to tell his 10 children back in the day: The Adventures of Erbert and Gerbert Herbert. Each sandwich on the menu has its own write-up that relates back to the original stories. In addition to the subs, the chain’s menu also features nine different soups for the soup-and-sandwich effect. This company is currently ranked #312 on Entrepreneur magazine’s Franchise 500 list. Founded in 1987 and franchising since 1992, the number of locations has expanded in recent years from 49 in 2011 to the current total of 97, of which five are company-owned and all are located in the U.S.
Lennys Grill & Subs was started by Len Moore, who had more than 25 years of experience in all kinds of restaurants before he and his wife Sheila opened the first location in Memphis, Tennessee. They only wanted one location to help pay for their daughter’s college education, but the demand was so strong they soon opened five more. 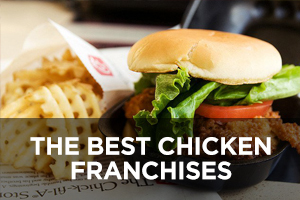 After opening 20 locations, franchising was the next logical step. The menu features Philly-style submarine sandwiches with 10 deli subs and 12 grilled subs. 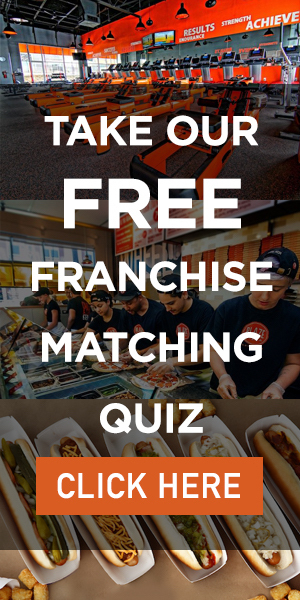 Founded in 1998 and franchising since 2001, the number of locations has steadily declined over the past ten years from 170 in 2008 to the current total of 92, of which 11 are company-owned and all are located in the U.S.
Schlotzsky’s dates back to the early 1970s with a single location and a single sandwich, The Original, in Austin, Texas. Today, the shops feature a much wider menu, although The Original is still its most famous sandwich, including a variety of fresh-baked breads, hot sandwiches, artisan flatbreads, specialty pizzas, toasted wraps, freshly-tossed salads, gourmet soups, and more. Many locations also feature Cinnabon and Carvel ice cream products since the chain is owned by FOCUS Brands, an affiliate of Roark Capital Group, which owns those and other restaurant chains. 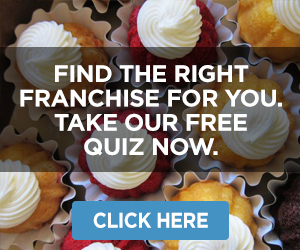 This company is currently ranked #231 on Entrepreneur magazine’s Franchise 500 list. Founded in 1971 and franchising since 1976, the number of locations has changed little in recent years and currently stands at 372, of which 25 are company-owned and one is located outside the U.S.
Cousins Subs got its start back in the early 1970s by Bill Specht and James Sheppard who, as you might guess, are cousins. Because they came from New Jersey, they were big fans of submarine sandwiches, but when they settled in Milwaukee, Wisconsin, they were disappointed to find virtually no sub shops. When they opened their own, they quickly gained a following that consisted mostly of East Coast folks who missed their subs. Sprecht has retired and now his daughter Christine is the CEO. This company is currently ranked #312 on Entrepreneur magazine’s Franchise 500 list. Founded in 1972 and franchising since 1985, the number of locations has declined in recent years from 150 in 2010 to the current total of 96, of which 18 are company-owned and all are located in the U.S.
Pita Pit was founded by Nelson Lang and John Sotiriadis in Kingston, Ontario, back in the mid-1990s, well before the healthier-eating trend became as popular as it is today. They wanted to offer a fresher, healthier menu than traditional high-fat, high-carb, high-calorie fast food. They settled on Lebanese-style pita sandwiches filled with fresh veggies, grilled meats, and zesty sauces. Many of the shops stay open late into the night/morning, which appeals to university students. With 20 pita fillings and 40 toppings to mix and match, millions of combinations are possible. 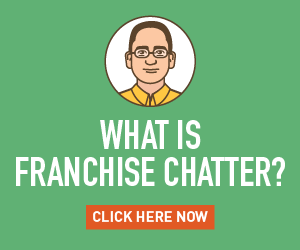 This company is currently ranked #342 on Entrepreneur magazine’s Franchise 500 list. Founded in 1995 and franchising since 1997, the number of locations has increased over the past 10 years from 273 in 2008 to the current total of 605, of which 13 are company-owned and 382 are located outside the U.S.
Potbelly Sandwich Shop was started by Peter Hastings in the mid-1970s in a Chicago space that was previously an antique shop. The décor of the first location used many items from the antique store, including a potbelly stove that gave the sandwich shop its name. Bryant Keil purchased the restaurant in 1997 and began expanding into a chain. Potbelly does most of its business during lunch, and many locations feature live music from local musicians. This company is currently ranked #269 on Entrepreneur magazine’s Franchise 500 list. Founded in 1977 and franchising since 2009, the number of locations has expanded in recent years from 377 in 2015 to the current total of 491, of which 435 are company-owned and 17 are located outside the U.S.
Capriotti’s was started in the mid-1970s when siblings Lois and Alan Margolet opened a sandwich shop named after their grandfather, Philip Capriotti, in Wilmington, Delaware. And they did it in Little Italy, a neighborhood where there were already seven sandwich joints. Their gimmick to make theirs different was in-store roasting of whole, fresh turkeys overnight so they could pull fresh turkey meat each morning for sandwiches, a tradition the company maintains to this day. The menu features 17 different subs, two sandwiches made with sliced bread, and six different salads. 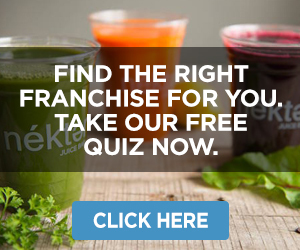 This company is currently ranked #259 on Entrepreneur magazine’s Franchise 500 list. Founded in 1976 and franchising since 1991, the number of locations currently stands at 98, of which 10 are company-owned and all are located in the U.S.
Great Steak, previously known as The Great Steak and Potato Company, has been offering cheesesteak subs and potato dishes since the early 1980s when it was started in Dayton, Ohio by founder Nicola J. Lanni. This is a true meat-and-potatoes operation featuring four cheesesteaks, four chicken Philly subs, seven different grilled sandwiches, six kinds of French fries, five different baked potatoes, potato skins, and four breakfast sandwiches. Great Steak is now a wholly-owned subsidiary of Kahala Brands. Founded in 1985 and franchising since 1986, the number of locations has declined over the past 10 years from 199 in 2008 to the current total of 58, of which none are company-owned and 13 are located outside the U.S.
Togo’s dates back to the 1960s when there was a tiny little sandwich shop near San Jose State University with a sign out front that read “sandwiches” on the first line and “to go” on the second line. When university student Mike Cobler discovered it, he bought it. The core menu features 19 subs, six salads, four veggie sandwiches, and a selection of soups that changes daily. Any sub can be ordered without bread and served up as a salad with romaine lettuce or in a tortilla wrap. This company is currently ranked #330 on Entrepreneur magazine’s Franchise 500 list. Founded in 1971 and franchising since 1977, the number of locations has declined slightly in recent years from 251 in 2014 to the current total of 210, of which six are company-owned and all are located in the U.S.
Tom+Chee is a chain focused on the classic grilled cheese sandwich and tomato soup combination. It was started by friends Trew Quackenbush and Corey Ward along with their wives Jenn and Jenny, in Cincinnati, Ohio. After a year in a tent, they were able to open a real store and people were willing to wait in line well over an hour for creative offerings such as the grilled cheese donut: a donut sliced like a bagel and grilled with your choice of cheese or many other interesting toppings. They received a boost by landing a $600,000 investment during season 4 of Shark Tank from Barbara Corcoran and Mark Cuban. Founded in 2009 and franchising since 2012, the number of locations currently stands at 31, of which three are company-owned and all of which are located in the U.S.
Penn Station East Coast Subs was founded by Jeff Osterfeld in the late 1980s. He previously ran Jeffrey’s Delicatessen in Dayton, Ohio until he discovered the Philly cheesesteak concept, which led him to revamp his approach and open the first Penn Station in Cincinnati. His innovations back in those days were “display cooking” where customers could see their food being prepared right in front of them, fresh-cut French fries, and hand-squeezed lemonade. The menu includes four classic subs, three chicken subs, and three Italian subs that can be served hot or cold. 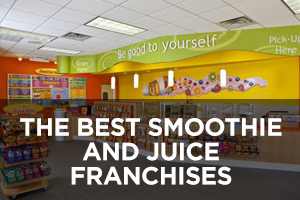 This company is currently ranked #177 on Entrepreneur magazine’s Franchise 500 list. Founded in 1985 and franchising since 1987, the number of locations has expanded over the last 10 years from 188 in 2008 to the current total of 315, of which only one is company-owned and all are located in the U.S.
Blimpie got its start in Hoboken, New Jersey back in the 1960s when three friends were inspired by Mike’s sub shop (now Jersey Mike’s Subs). The company had as many as 2,000 locations back in 2002, but that number has steadily declined ever since. The menu includes 10 cold deli subs, four hot subs, four paninis that can be prepared on either ciabatta or pretzel bread, three wraps, and two salads (and any sub can be ordered as a salad for those watching their carbs). Founded in 1964 and franchising since 1970, the number of locations has continued to decline over the past 10 years from 1,090 in 2008 to the current total of 250, of which six are company-owned and five are located outside the U.S.
CHēBA Hut (pronounced cheeba) is a sandwich chain steeped in cannabis culture with a laid-back anti-establishment vibe. The concept was the brainchild of Scott Jennings, who opened the first location in Tempe, Arizona, back in the late 1990s. The phonetic pronunciation of the chain’s name approximates the Spanish pronunciation of Chiba, a slang term for highly potent Colombian marijuana. The core menu features 26 “toasted subs” with names that are all different kinds of pot. The company mascot is a very stoned bird named Flip who is always smoking a joint. The ever-increasing legal availability of marijuana bodes well for this chain. Founded in 1998 and franchising since 2002, there are now 21 locations, of which 8 are company-owned and all are located in the U.S.
PrimoHoagies dates back to a time when the sandwich, now more commonly called a “sub,” was known as a hoagie. The first PrimoHoagies was opened on Ritner Street in south Philadelphia when it seemed like there was a hoagie shop on every corner. PrimoHoagies distinguished itself by focusing on the sandwich’s Italian origins, and the chain’s Italian Hoagie is its best-selling sandwich to this day. But the chain has something for everyone with its 59 different hoagies. 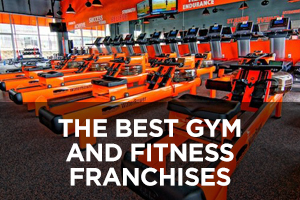 Founded in 1992 and franchising since 2002, the number of locations currently stands at 90, only one of which is company-owned and all are located in the U.S. Extreme Pita is a Canadian chain that got its start when Brothers Alex and Mark Rechichi opened the first location in Waterloo, Ontario, back in the late 1990s. The Extreme Pita menu offers sandwiches wrapped in Lebanese-style pita bread, pizza-style “flatbaked pitas,” salads, smoothies, and breakfast pitas. Besides various meats, cheeses, and veggies, falafel and hummus both feature prominently on the menu of ingredients. Extreme Entrées, a new offering, are more substantial than the pita sandwich, are made fresh in-store, and include sautéed veggies, a protein, a 7-grain rice blend, and a salad. Founded in 1997 and franchising since 1998, the number of locations has declined in recent years from a high of 271 in 2013 to the current total of 100, none of which are company-owned and 93 of which are located outside the U.S. (in Canada). D’Angelo Grilled Sandwiches goes back to the late 1960s when Brian J. McLaughlin and Jay Howland opened up Ma Riva’s Sub Shop in Dedham, Massachusetts, eventually changing the name to Angelo Sub Shop and later to D’Angelo around the late 1970s. The D’Angelo menu includes nearly 40 different subs and sandwiches (both hot and cold), five rice and grain bowls, seven grilled topped salads, three wraps, and two hot soups. Unlike most sandwich chains, D’Angelo’s locations offer delivery in addition to dine-in and carry-out. From 1993 to 1997, D’Angelo’s was owned by PepsiCo’s fast food arm, which then became Yum! Brands, and now it is owned by the parent company of Papa Gino’s. There are currently 88 locations listed on the company website in Massachusetts, Connecticut, Rhode Island, New Hampshire, and Maine. Chicken Salad Chick began when Stacy Brown started selling her homemade chicken salad door-to-door in Auburn, Alabama. When she found out what she was doing was technically illegal, she and her future husband Kevin opened the first restaurant. The menu features 15 different signature styles of chicken salad that can be served on bread or on lettuce, along with a variety of sides. Founded in 2008 and franchising since 2012, the number of locations has expanded rapidly to the current total of 90, of which 19 are company-owned and all are located in the U.S. 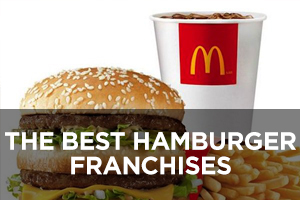 The franchises on this list were ranked according to growth momentum and brand equity. 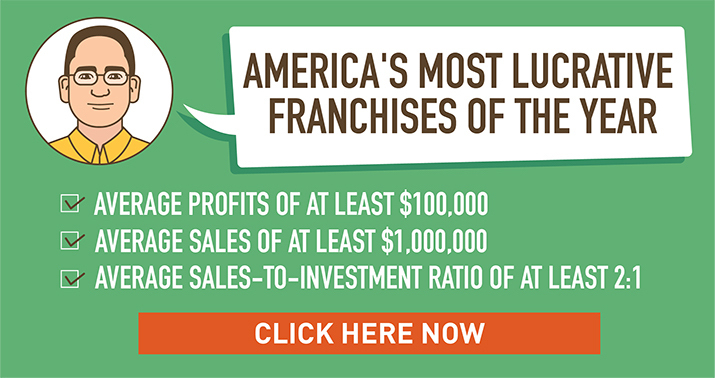 If you are a prospective franchisee searching for franchise opportunities that meet or exceed certain performance benchmarks for sales, profits, and return on investment, please check out this list of America’s Most Lucrative Franchises. Their used to be a sandwich shop in San Jose California back in the early to mid seventies named Mike’s Hero’s. It was located on Winchester Blvd just down the street from the infamous Winchester Mystery House. Anyway Togos was a force to be reckoned with back then and they were fairly new as well but the lines at Togos were long at all times back then. While Togos was getting all the attention, Mike’s Hero’s had modest crowds. Since they were the least crowded and closer to our house our family would head over to Mike’s Hero’s. I will say this. The sandwiches that they prepared were far batter than any sandwich I’ve had at any sandwich place. As much as I love Togos, Mikes Heros was the only place I went for sandwiches. The bread they used was the best bread ever used in a sandwich. The bread which was actually a roll like they use at Subway, but ten times better, had sesame seeds. Unfortunately they went out of business around 1976, so Togos was now our go to place for sandwiches, but I still crave a Mike’s Hero Sandwich. I have been to dozens of sandwich shops trying to find a place that comes close to Mike’s but to no avail. I will continue my search, and if anyone remembers Mike’s Hero’s on Winchester Blvd in San Jose, Ca reply and tell me about your experience with these amazing sandwiches. There is also Sandella’s who have over 130 worldwide from the US, Malta, UAE and are now expanding into Australia as well. They began back in 1994 and while some stores are still company owned, many of the stores are now being offered as franchised offerings. Reminder: Your username and password are case-sensitive.